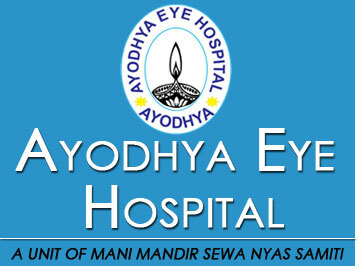 Ayodhya Eye Hospital not only works in clinical field but part of our mission is to disseminate our knowledge to medical and paramedical staff. We are providing a full time two year Diploma in Optometry affiliated to U.P State medical faculty to fulfill the grand purpose of developing manpower, which could be utilized for the implementation of national programme and control of Blindness. This training enables trainees to become competent in providing services in ophthalmic techniques and assisting ophthalmologist in OPD, OT and Ward activities. The primary objective of diploma in optometry is to develop trained manpower equipped with enough knowledge for utilization of these professional in overnment sector & private hospital & also with private eye surgeon. Thus the trained optometrist can be of great help of our national program for control of blindness & visual impairment. The course consists of 1st & 2nd year each divided in to two semesters of six months. The student has to appear in the final exam at the end at the 1st & 2nd year. the examination will be held under U.P. state Medical faculty. After successfully passing the exams they will be awarded Diploma in optometry by U.P. State Medical faculty. All candidate must have to clear the theory & practical paper separately by minimum of 50% marks. More details about the course content is given the prospectus. Optometrists are primary healthcare practitioners of the eye and vision system who can successfully manage the leading cause of vision impairment (i.e. refractive error) and can also help alleviate the burden of other causes of blindness through diagnosis, referral and co-management. 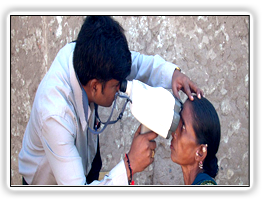 To provide comprehensive vision care to all the people of the country, India needs a large number of Optometrists. 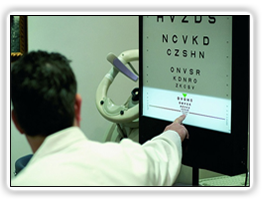 Career as an Optometrist can be very fulfilling as it provides a wide scope for employment. 3. Contribute to an eye care institution.